The Marvel Universe brings you exciting imaginary worlds and larger-than-life heroes. 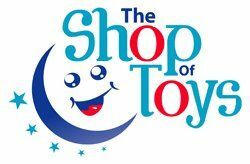 Iron Man and Hulk, some of the worlds most iconic characters, along with the classic and well-loved Playskool brand, brings toys for every child who aspires to be a Super Hero. Designed with little hands in mind, Marvel superheroes are sized right to help budding heroes, imagine awesome adventures with the help of famous Super Heroes from all corners of the Marvel Galaxy. 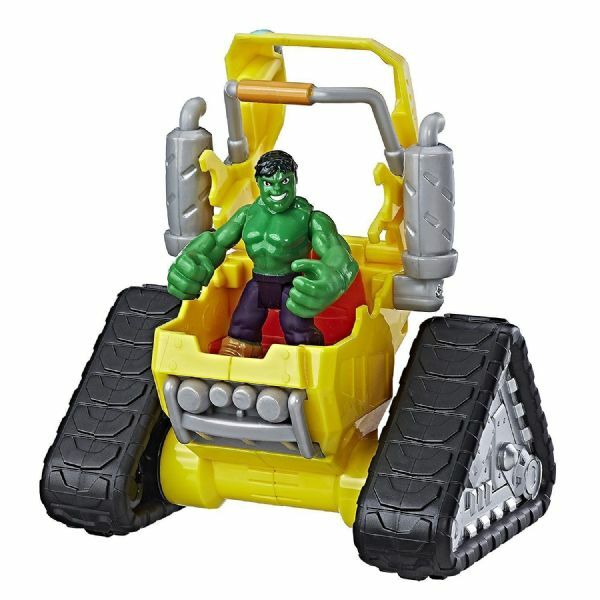 Young heroes can imagine giving villains the heave-ho with the Hulk power dozer! 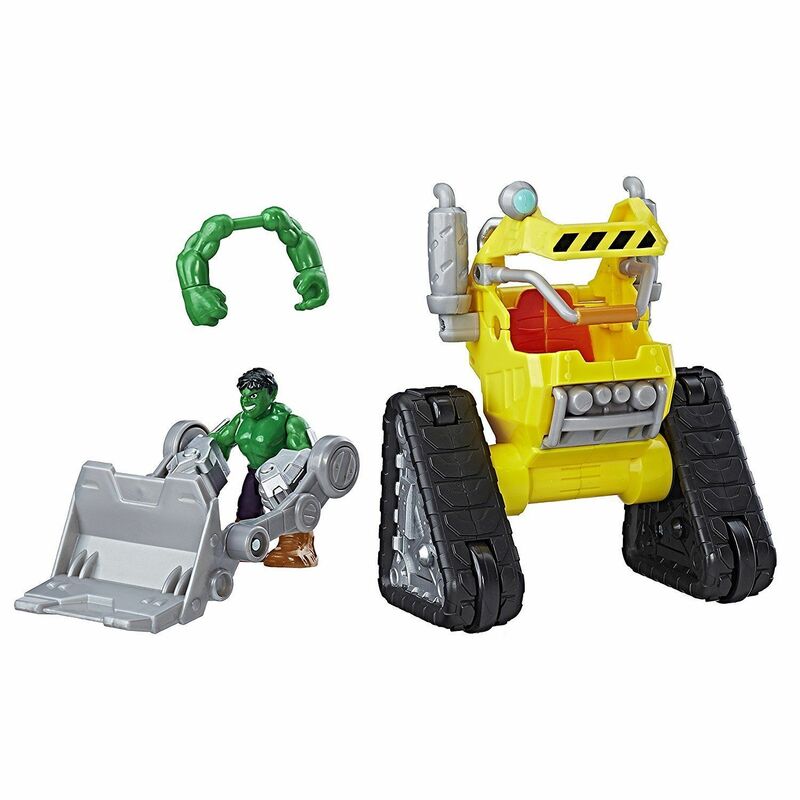 sized right for little hands, this Hulk figure gets a crime-fighting boost with the Playskool Heroes power up feature, removable arms that snap on and off. Get the Hulk figure armed and ready with his demolition dozer arms, and pretend to help him haul away the bad guys! 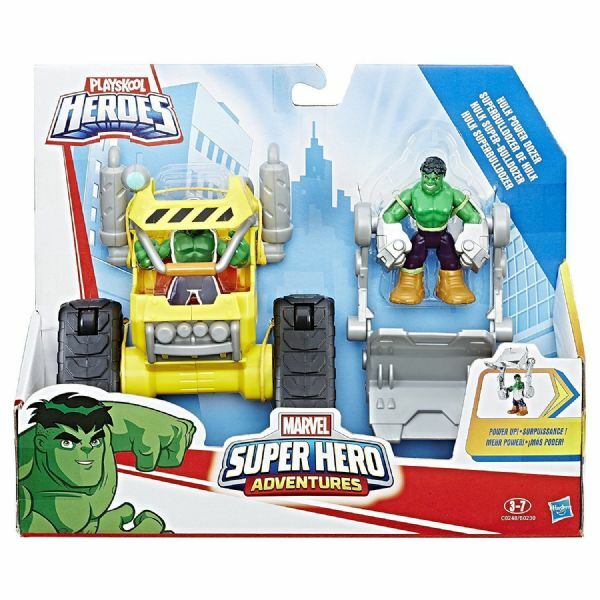 or power up Hulk's vehicle by placing the powered up Hulk figure inside. For Iron Man, the sky is the limit when it comes to saving the day! Crime fighters-in-training can imagine going on daring missions in space with Iron Man in his starship! 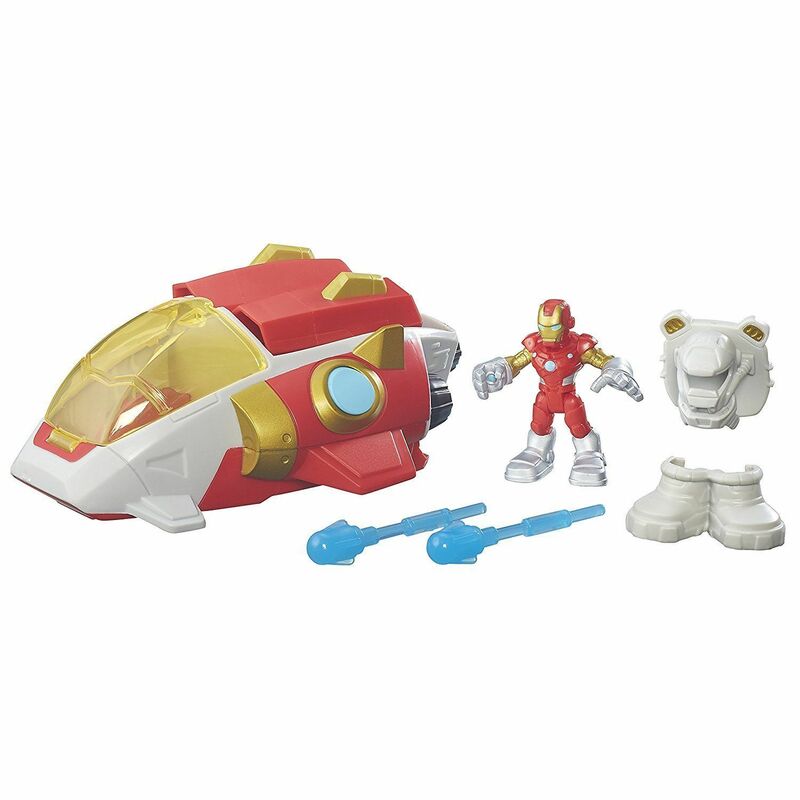 sized right for little hands, this Iron Man figure is always up for an out-of-this-world adventure. Little ones can gear up the Iron Man figure in his space boots and helmet, and place him in the cockpit of his starship vehicle. 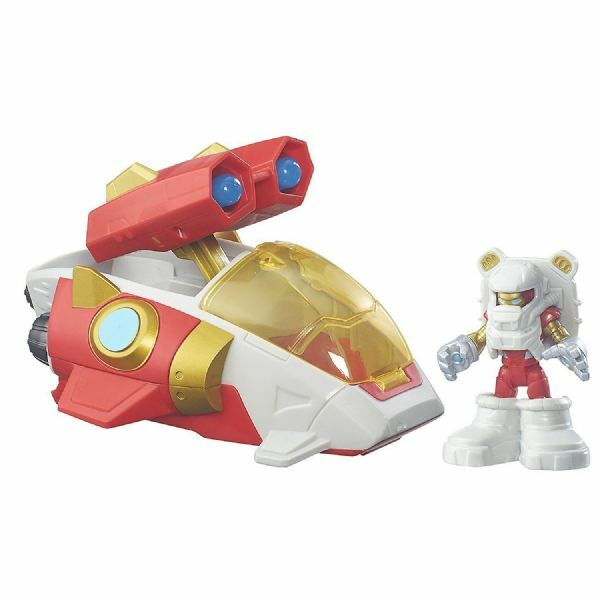 Then with a push of a button, they can reveal 2 hidden projectile launchers and pretend to blast off to defeat the villains! There's no limit when it comes to imagination!